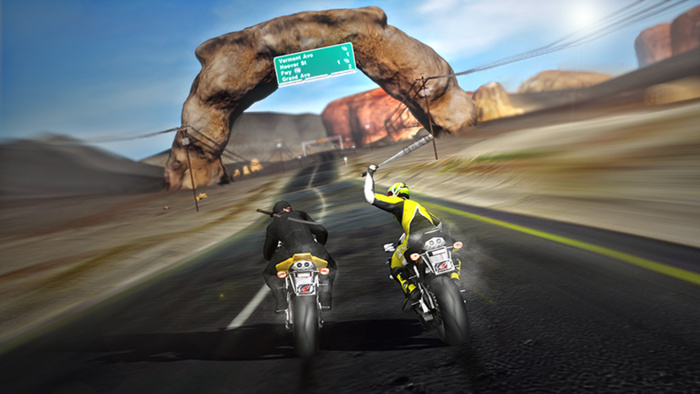 In recent weeks we've brought Road Redemption to your attention, a Kickstarter project that's promised Wii U as a platform alongside releases on PC and Mac. It's another title made possible by Nintendo's increasing openness to indie developers, as well as the Unity engine support included on the Wii U hardware. We don't need to speak about this as a potential release anymore, as Road Redemption has hit its funding target and passed $160,000; at the time of writing there are still around 40 hours of funding time remaining, with the only additional stretch goal being a release on Xbox Live Arcade. Wii U was an early platform promise, with developer DarkSeas Games singling out GamePad multiplayer options as a particular bonus of the system. The game has an estimated release that's still a little while away — August 2014. Its stated goal is to deliver "a return to the challenging, skill-based gameplay that defined gaming on the Sega Genesis (MegaDrive), 3DO, and Nintendo 64." Its biggest influence is the Road Rash series of games that were popular on the SEGA Mega Drive / Genesis, which combined motorbike racing with action brawling, as you could merrily kick and punch opponents, with weapons such as bats and chains also handy. It was violent, a little ridiculous and a lot of fun, so it'll be interesting to see whether Road Redemption can recapture that gameplay. The campaign will still be open for a little longer on the Kickstarter project page, and you can check out the pitch video below. 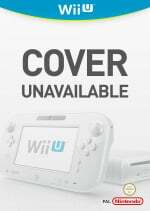 Although it's a while away, is this a game you'll be interested in playing on the Wii U? It kinda reminds me of an older game but I cannot quite recall what it was called. @sonicfan1373 the motorcycle part in Full Throttle maybe? I'll look forward to the Nintendo eShop launch of Road Redemption for the U. Congrats to DarkSeas Games for reaching the goal! It does looks fun, but i don't like the way the camera moves, IMO it should be a little bit more steady. You guys wouldn't believe the jump of pledges it had last night. Can't wait to see how this game goes. This game looks awesome. This is the first time a kickstarter project has really appealed to me. It also helps that 3DO Road Rash was one of my favourite games on that system. I've put countless hours into playing the crap out of Road Rash 2 on Sega Genesis, one of the best arcade style games ever. Super stoked about this one! Fantastic news! I'm really happy this s going forward. Oh, I don't mind to wait another year or two, I've waited all this time already. @PvtOttobot Well Road Redemption was definitely not going to make its target amount at the rate it was earning funds and look how that turned out! Just got a huge surge in donations over a night! Loved that drop kick into the truck. This, C-wars, and Chasm making it to the Wii U makes me so happy. We still need confirmation for Rex Rocket, though. @PvtOttobot Aww yeah. I'm ready for some online customizable robot action, with my Miiverse buddies! Awesome, keeping my eyes on it. Conceptually it looks awesome! I will definitely be getting this when it comes, really enjoyed road rash back in the day. Can anyone tell me what happened to Biker Bash, not heard anything about that game for a while, I hope that will be available soon. @HeatBombastic Wanna donate $200,000? PLEASE!